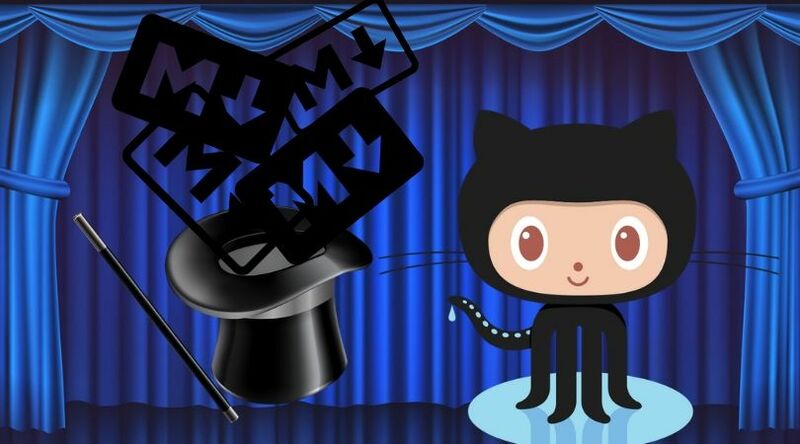 If you frequently use GitHub, then you know any directory with a Readme markdown file in it automagically displays it, making it a convenient place to let visitors know helpful information about a project... about setting it up, how to contact the author, where to turn for help, etc. But there are some little tricks you can take advantage of too, which most people wouldn't know about. Here's my top 5 (see them in action on GitHub too). 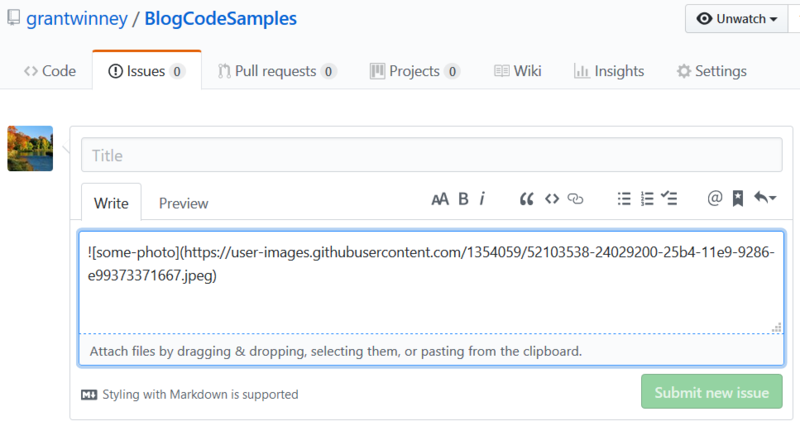 One more thing before we dig in... these tricks work in any markdown file, including new Issues, Pull Requests, and in the Wiki. But what if you have a long Readme file or wiki page, and the same link is used in multiple places? I [issued](http://example.com/), grab a tissue. To make updates easier (not to mention, keeping things DRY), you can create a list of links at the bottom of the file, and reference them in multiple places by name. The list won't render on the page, so visitors won't even know it's there, and it makes one convenient place to do updates. I [issued][issues], grab a tissue. fix it and submit a [pull request][pulls]. You can use the same technique with images too! You can add these to anything that accepts a link label, wherever you find them useful - maybe in a Pull Request template to give contributors instructions that won't render when the PR is submitted, or near a confusing part of a wiki page so the next person who tries to edit it sees a brief explanation before submitting their change. Although the Wiki has a button that lets you upload images to it, and the Issues page lets you drag and drop images, the interface in the main repo has no such button. You can (ab)use the Issues page though, to avoid the pain of having to upload images into your repo... which keeps the size of your repo down too. Just create a new issue and drag your image into the editor pane. It'll upload it and generate a unique URL for you. Don't even bother saving the issue... just copy the markdown it generates and drop it into your Readme. The only caveat is that it's not under source control, but I can't really see that being an issue. I've never had a need to keep revisions of images, but if you do then this may not be the tip for you. But what if you get your image inserted and it's obnoxiously huge? You can't resize an image using markdown. The img tag is in the list, so just switch to standard HTML to resize it. It even supports other attributes, allowing things like word wrapping. 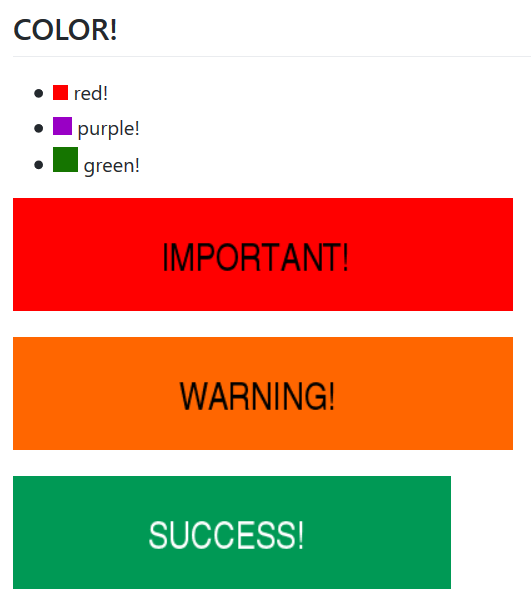 You can't color your text using markdown, but you can use an image placeholder service like placeholder.com to create some useful effects that make sections of your Readme file, etc stand out. I was hoping to find some trick for generating a table of contents, but alas after years of ongoing discussion... nada. There are other solutions like github-markdown-toc and the Github Markdown Outline chrome extension, but nothing native. Who knows though... maybe since Microsoft bought GitHub and is actively adding features (like free private repos for small teams), we'll see more features built-in.